There are tons of things that can happen while you are traveling. I say this, not to scare you or put you off from booking that ticket to that magical island or secret dream place you’ve always wanted to go, but to help make traveling feel like more of a real thing, rather than just a dream. Perhaps you’ve been seeing your adventurous friend post pictures of them going mountain climbing in Japan or jumping off of water falls in the Bahamas. There are all sorts of exciting, if challenging (and downright scary!) things that you can do while traveling, and one that no one ever seems to mention is…getting lost. Getting lost can be alarming. Especially if you are some place where you’ve ended up alone after being brave enough to finally make the trip to wherever you’re going. But…it’s not the end of everything. If you are mentally prepared for the possibility of either losing your bearings or your group of travelers, getting lost can become more of an adventure than a trauma. I have never been known for having a good sense of direction, but I have always thought myself very capable of keeping up with others when in a group environment. My study abroad art program was a group environment. There were about a dozen of us, all young women in the bud of life, with hopes and dreams still yet to discover, and we all had two things in common: we loved art and we wanted to see Paris. And so we did. While some of us already had started honing our artistic abilities, and so, took more advanced art classes in those art skills, some of us also picked up new art forms. One of the things about being an artist is that you are always looking for some new inspiration: a river, a gaggle of geese, a long-necked swan, an older couple sharing a cup of coffee in a cozy cafe, the Eiffel Tower. I’m sure every tourist who’s ever been to Paris has visited the Eiffel Tower. It’s almost a mandatory piece of architecture that you’ve got to take photos with in order to have people truly believe that you were in Paris. And so, doing what tourists do, we arrived in Paris, rode the metro to the dorms that would be our homes for the next four months, and then, having a smart, Parisian dinner, accompanied it with a visit to the tower. The Eiffel Tower was everything that you’d expect it to be after having seen hundreds of photos of it over the course of your lifetime, but the most interesting thing about it was the people it attracted. Tourists. Tourists everywhere. People from all over the world have dragged themselves to Paris to gaze upon the famous Eiffel Tower. People-watching became one of my favorite past times during my extended vacation in Paris, and the Eiffel Tower is a wonderful place to watch people…and also, to get your portrait drawn for the low price of ten euros. Yes, I got roped in by a street artist. I’m often too kind (and stupid) to tell people “no,” and so, I ended up sitting for a drawing. When I was finally released from the artist’s clutches, I looked around to find that I did not recognize any of the people around me. I walked around. Stood still, returned to an area where we had earlier had a group meeting detailing how we’d be spending the rest of our evening… which never mentioned being left alone in France on the other side of the world from your home country. How did I save myself and get home? If you are wondering, panicking is always bad and has never helped improve any sort of situation that brings on a high and sudden amount of stress. Although I was not in a "dangerous" situation, being at a famous landmark with a ton of people, in a nice area that was well-lit my first instinct was to panic. I was in a whole new country, with a language that I did not speak fluently, the sun was setting and night was coming, I was alone, and a woman. I had a lot to panic about, but I didn't. 2 I had a map!! You remember those? Not one of those electronic things on our fancy smartphones with the GPS locator that follows you as you move either. Just several pieces of laminated pages folded and stapled into something that would be convenient and portable, and I certainly needed something to conveniently get me un-lost at the time. I had already marked the spot on the map where the dorm rooms were located (as I'd been instructed by our tour guide/study abroad program babysitter-person), and had been previously told that there were Metro train stations all over the city of Paris. So, to keep down my panic, I just started walking. I couldn't remember the name of the train station that we got off on to get to the Eiffel Tower, but I knew that many of the train stations were connected from the brief introduction to Paris we had with our study abroad caretaker who was more or less our tour guide. Fortunately for everyone, there is now the ability to download maps onto your phone, so even if you are as cheap as I am and skipped out on making the investment to purchase or rent a cell phone while you are a abroad and traveling, you can also have a map with step by step directions to get you where you're trying to go. But unfortunately for me, at the time I was using an old fashioned, paper map, bound up in a nice little booklet and travel friendly that I kept shoved in my purse. It's hard to knock the old-fashioned map as, I became very dependent on it throughout my long-stay in Paris, and, there certainly is a sort of freedom that I felt from being technology-free throughout the day, but...that is another story. Let's move on! 3 I knew there were train stops all over Paris, but didn't know exactly where to find one. I'm going to elaborate on this point because...it is so important. One of the first things we were told by our tour guide is that Paris has a wonderful train system with metro stops all over the city. Did I think that was super useful information at the time? No, I didn't. but when I looked up and looked around and didn't see any of the other students in my study abroad art program, this information became super relevant to me in all of the 8 hours I had been in Paris at the time. Know what options are available to you. 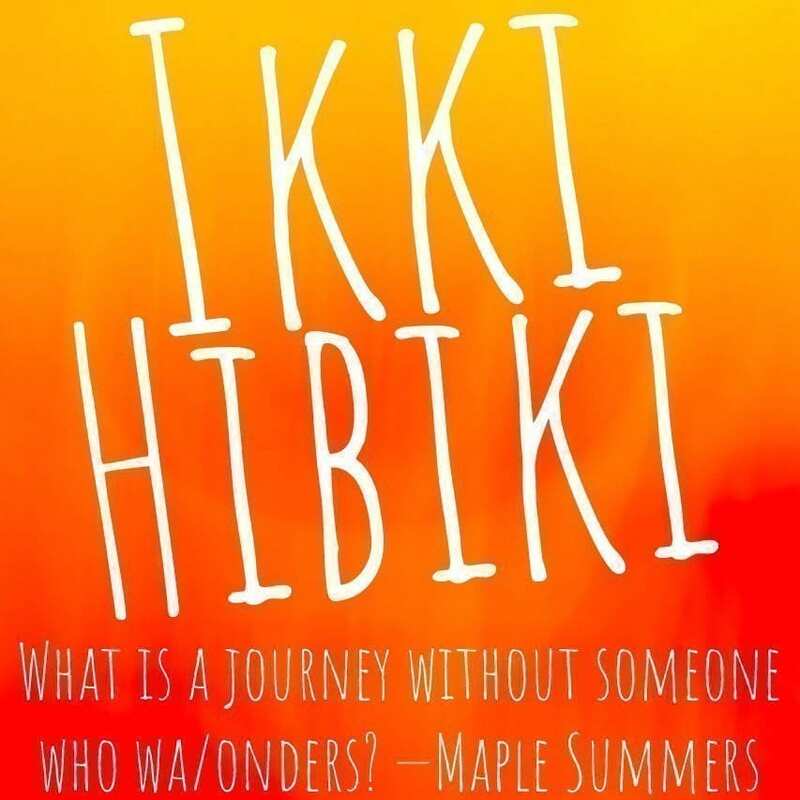 You can do research before you ever buy your airplane ticket by reading blogs (such as Ikki Hibiki) from people who have been to the place you're wanting to go. I find that to be the most relatable and entertaining way because the information is often delivered by someone who has been where you're trying to go and has left some footprints to guide you. So...wherever your plane, train, car, bike, or feet take you, familiarize yourself with the different modes of transportation that will be available to you on a daily basis, and which, preferably, are relatively cheap, just in case of emergency. It will be a lot less stressful to travel when you feel just a little bit prepared and familiar. If you just keep walking, you will bump into a train station eventually. Maybe this doesn't sound like the best advice, but, a lot of people will deal with anxiety with exercise. I found that it was a lot harder to panic when I realized I was alone at the Eiffel Tower if I kept walking. I have no spectacular skills for finding my way around, can hardly remember how to tell North from South, but it wasn't quite dark outside yet and that gave me another sense of comfort. Light has that effect on many people. Also, during my time in college, I had developed the habit of going for long walks at night, so I used that experience braced with my handy dandy map to keep some hope inside of me and the panic at bay. I do realize that not every place is pedestrian friendly. This is a general rule of thumb that I have followed during my travels to Barcelona, Paris, and New York City. These are all very pedestrian-friendly cities that make walking around for extended periods of time, even while lost, an experience in itself. Since I am back here, in America, to tell you this story, it is safe to assume that I made it back to my dorm room in Paris that night. In fact, I made it back before all of the other students who were still with our tour guide. Apparently, by the time they got back to the train themselves, they had realized I was missing. With no way to contact each other, since at least half of us did not have cell phone service in Paris, they just all came back to the dorm room, where they found me, safe and sound, showered and in my pajamas for the night. This is one of the biggest things that I had to learn and very quickly after I got lost in France. I didn't have that much faith in my ability to navigate a new city and a new country by myself, but I guess the educational system in America is good for something since I was able to successfully read a map and get myself back home. I learned to trust myself even more as my trip stretched on for 4 months. I got off the train in familiar places, and walked around for hours until I arrived in neighborhoods I hadn't been in before, and then, using my little map, I got myself home every night. If you arm yourself with the proper tools, you too can turn what could have been a traumatizing night of being lost in a city where you hardly (or don't at all) speak the language into a beautiful and freeing adventure that stretches you as a person and builds your self-confidence.